My last nationals as a junior and my best yet! 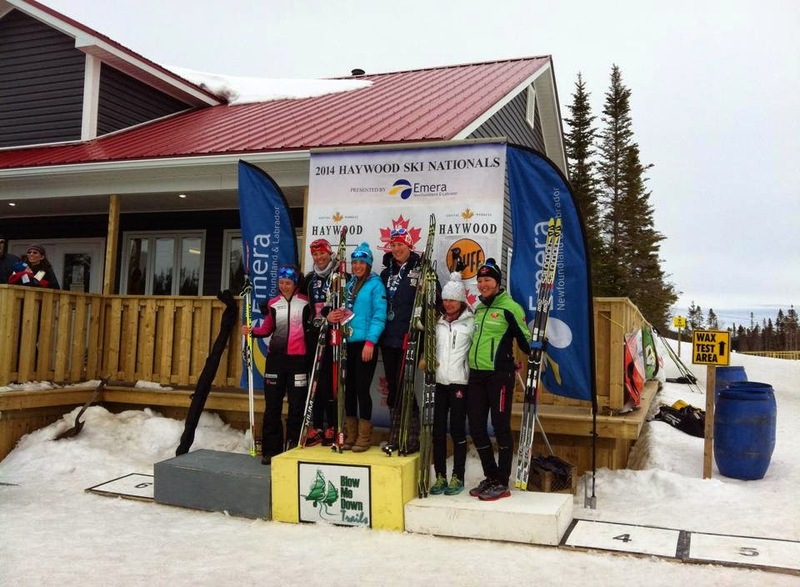 From Whistler BC last year to Corner Brook Newfoundland this year, the 2014 Ski Nationals literally took us from coast to coast. We were on the rock for 13 days and experienced everything from -20 winter weather to 100km/hr winds to +6 degrees and rain to beautiful sunshine. I was amazed by how quickly the weather could change. 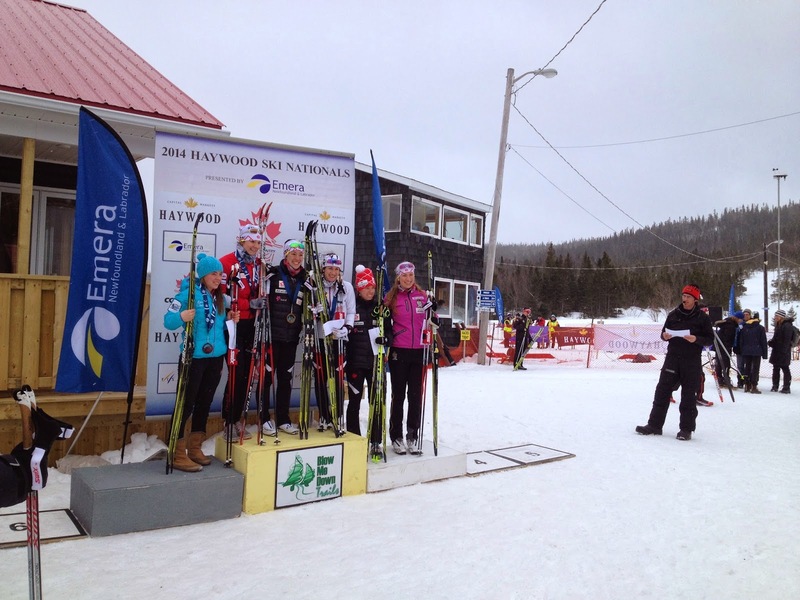 While in Corner Brook I raced all five of the Nationals races. I did not do the team sprint last year so I was very excited to be racing it this year with my Whitehorse and AWCA teammate Emily Nishikawa who has just returned from the Olympics in Sochi. The team sprint was a classic race which we both love and together we were able to pull away from the rest of the teams in the first 2 laps to take first by a comfortable margin. 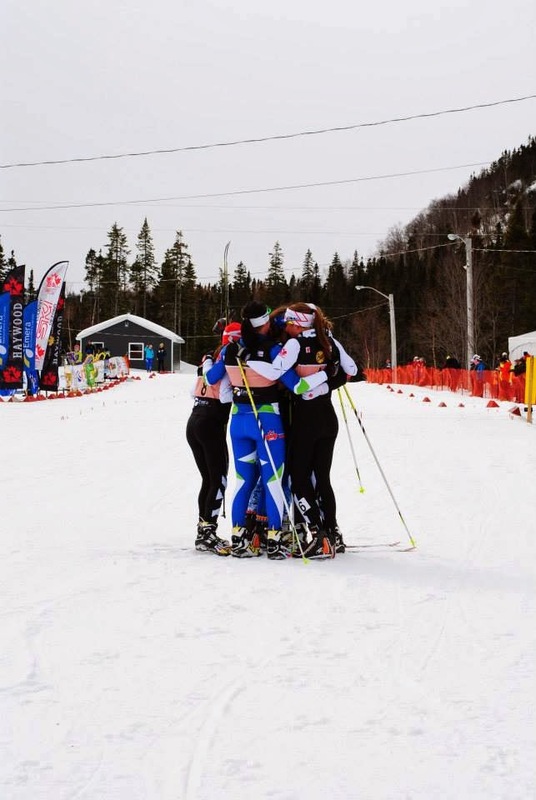 Our second Whitehorse team made up of Kendra Murray and Annah Hanthorn skied an incredible race as well to place 3rd and join us on the podium! With Knute and Colin taking third in the men’s race it was a great first day for the Whitehorse club. 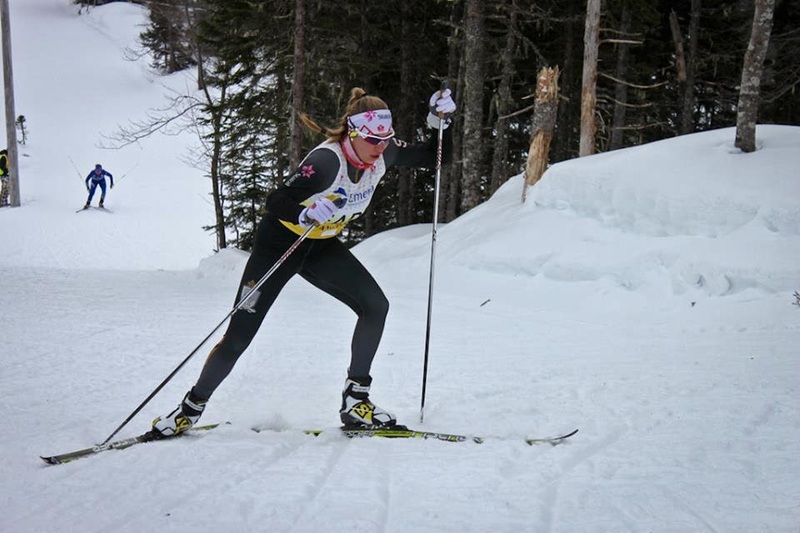 In the 5km classic race the next day the conditions were tricky for waxing and the team all ended up going on “rub skis”. 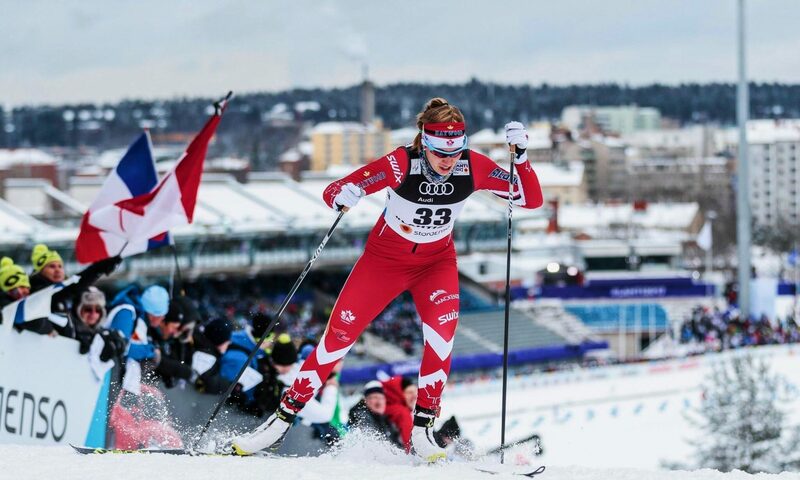 I won the junior women’s category but I was more pleased with the fact that I finished fifth in the open women’s category only 3 seconds behind World Cup Team athlete Perianne Jones. I was also first U23 and was only beaten by Olympians in this race. As a team the Yukon once again had a strong showing with Emily claiming gold in open women, Knute bronze in the open men and Annah bronze in junior women. My first Open Women’s podium at Nationals! 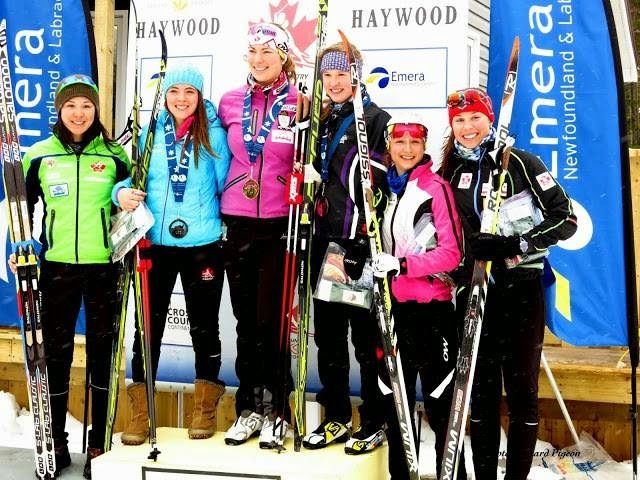 For the next two races I was able to keep my junior women’s nationals yellow leader bib placing 2nd in the 10km skate race and 3rd in the skate sprint. At the start of the last race of the week I was tied for first place in aggregate with Katherine. In the 3 individual races we had both finished 1st, 2nd and 3rd. This made the 20km mass start classic very exciting. Whoever between the two of us won would win the aggregate award for the week. Knowing it was winner takes all I pushed the pace from the beginning and at 10km we were down to 3 in the lead group, katherine and I as well as my teammate Annah. Katherine and I had been taking turns leading all race and part way through the 3rd of 4 laps I tried to break but Katherine came with me making it now a race between the two of us. On the 4th and final lap I tried to break again on the same climbs and this time was successful, racing the last 3km as if it was a 5km race I didn’t slow down until I was in the finishing corridors. Winning the 20k classic assured me the overall junior women’s aggregate title something that has evaded me the past 3 nationals. This was the first time I was on the podium in every race, 5 medals in 5 races! My first year racing in the junior women’s category in 2010 I also won the overall aggregate so it was nice to end my last nationals as a junior the same way I had started my first. 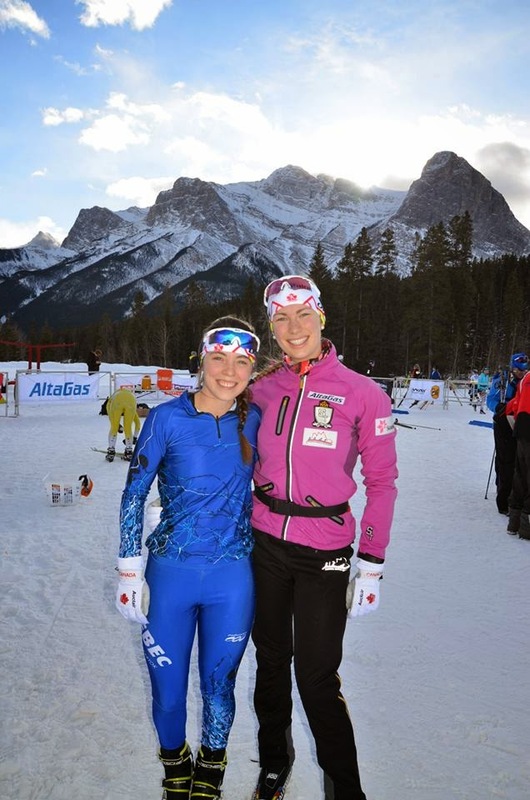 Katherine and I in Canmore earlier this year after both having qualified for World Junior Championships. 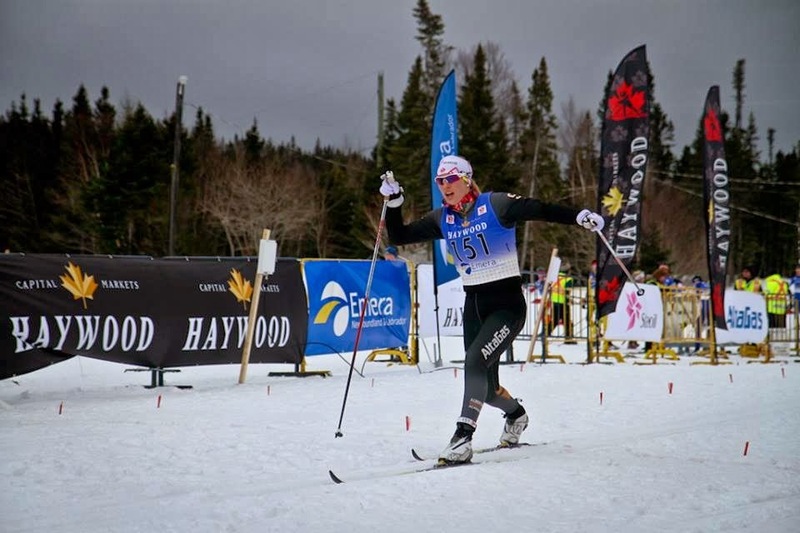 The mass start classic day was not just a great day for me it was also the best day ever for the Yukon Ski Team and the Whitehorse club. We had a total of 7 podiums and two 4th place finishes. These stellar results moved us up in the overall club standings to second place behind Nakkertok. Our best ever result in the club aggregate! 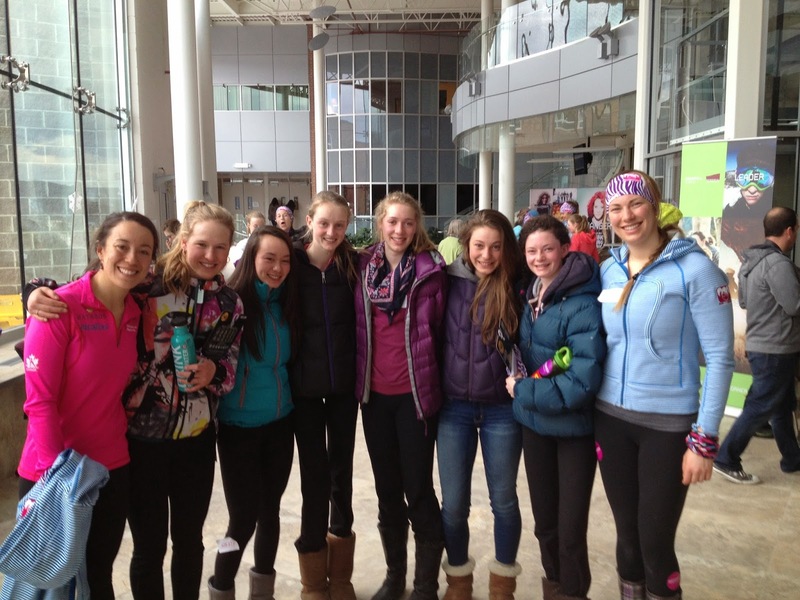 Annah who skied strongly all week was 3rd once again in junior women, Emily was 2nd in open women, Graham 3rd in open men. Are younger skiers also rose to the occasion with Caelan winning the junior boys, Simon placing a close second in the juvenile boys and Hannah D. placing second in juvenile girls with her brother Marcus and Natalie just off the podium in their respective categories. I am so proud of my entire team! When we were not racing we also had the chance to ski some of the recreational trails at Blow-Me-Down which are just lovely and on Sunday after the racing had concluded I was able to venture out to Gros Morne National Park for a little hiking adventure. Unfortunately my camera died so I don’t have any pictures of Gros Morne to display. Friday we also put on a Fast and Female event at the Memorial University campus. I had a group of 9-11 year old girls all from Newfoundland. It was great to be able to talk with these young ambitious girls about their dreams. At the finish line of my 20km race Saturday two of the young girls that were in my group at Friday’s Fast and Female were waiting for me! I hope to have inspired them but I know for sure that they inspired me and can’t wait to watch them race when they are old enough! 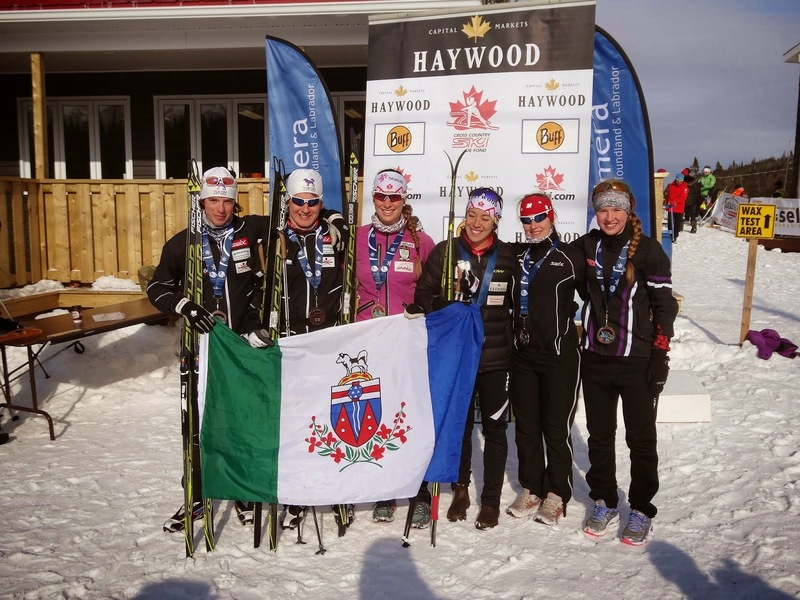 Finally I would like to thank Blow-Me-Down Ski club, the 2014 Ski Nationals organizing committee, my coaches and teammates on the AWCA and Yukon Ski Team and most of all the wonderful volunteers for making the week such a great success. My season is now over other than a couple of local races this weekend here in Canmore. Thank you to everyone who supported me this season and helped me make it my best yet. I am looking forward to getting back to training in May and working hard so that I can charge onto the senior scene next season!